Hyundai Motor America continued its hot streak in February, notching a 2 percent sales increase over the same period in 2018 and delivering a seventh straight month of gains. Hyundai sold 45,612 vehicles last month, compared with 44,732 in February 2018. Retail sales were up 6 percent to offset a 9 percent decline in fleet deliveries. Of those sales, 25,024, or 55%, were SUVs — a 38 percent increase over February 2018. 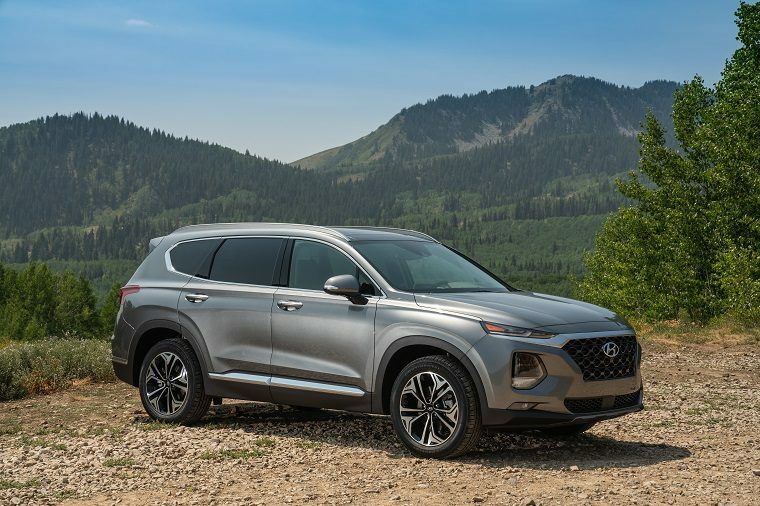 Along with its seven straight months of overall sales gains, Hyundai has also notched seven consecutive months of record SUV sales. 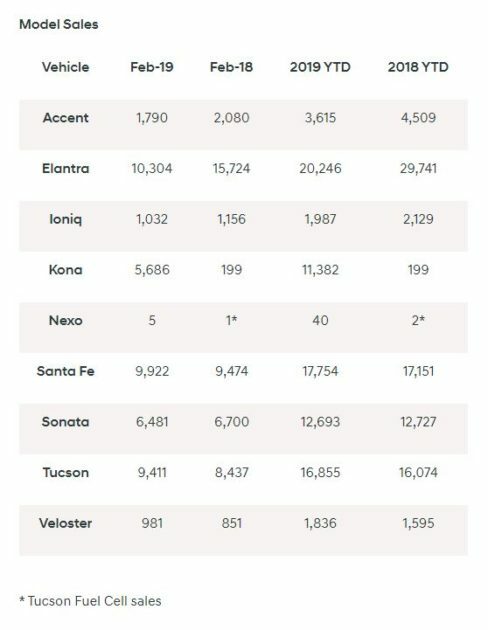 For February, the Santa Fe and Santa Fe XL SUVs combined for 9,922 sales and a 5 percent increase. The Tucson SUV set a new February sales record with 9,411 sold — 12 percent more than the same period last year. Hyundai sold 981 Veloster hatchbacks for a 15 percent gain. The Kona SUV also had a strong February with 5,686 sales. The automaker’s best-seller remained the Elantra compact car with 10,304 sold, but sales were down by 34 percent compared to February 2018.